The suggested itinerary below includes the highlights of Australia and New Zealand, a must-see for any Round the World itinerary! This itinerary has been created to give you inspiration when planning your Round the World trip via our international multistop booking page, where you can explore many of the stopover options available. 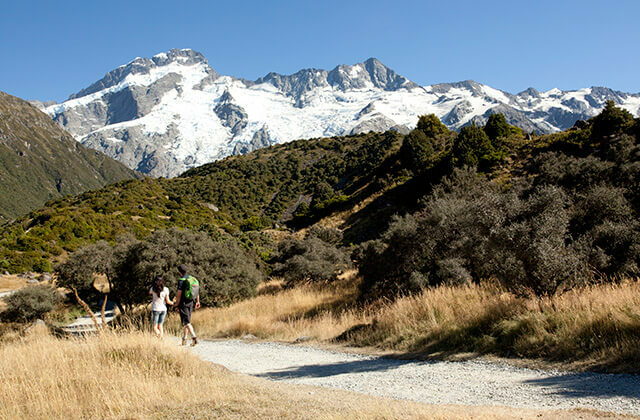 Christchurch is the gateway to the South Island and a must for fans of extreme sports and stunning scenery alike. Melbourne has so much to offer, from enjoying the city life, to touring the Great Ocean Road. It is also a great place to experience the best of Australia's wildlife. Sydney has much more to offer than just the Opera House and the Harbour Bridge. As the capital of New South Wales, Sydney is the gateway to adventure beyond it's city limits. Relax on Bondi Beach or explore the Blue Mountains, the choice is yours. To find out more about booking a round the world or multistop trip with Air New Zealand please visit our Round the World tickets and flights page. Alternatively, visit our multistop booking engine to book this itinerary now.